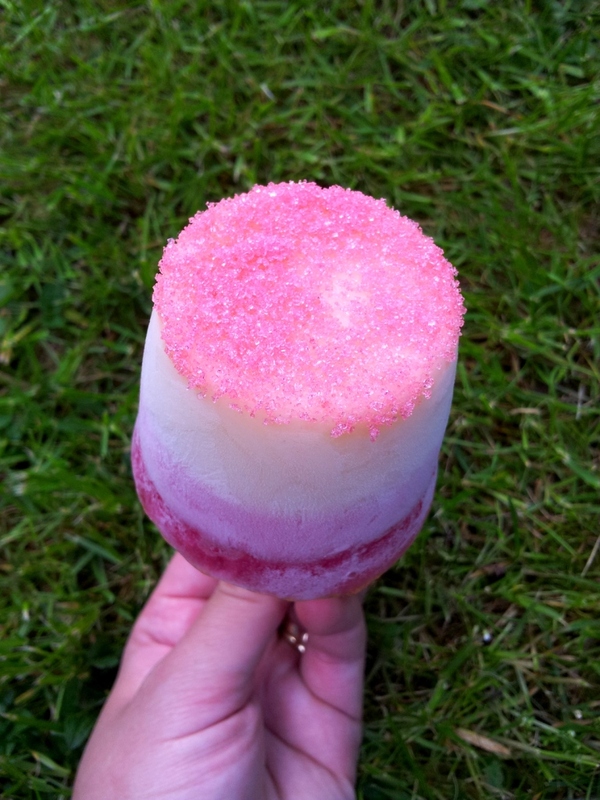 This is a quick and healthy snack for little tummies. 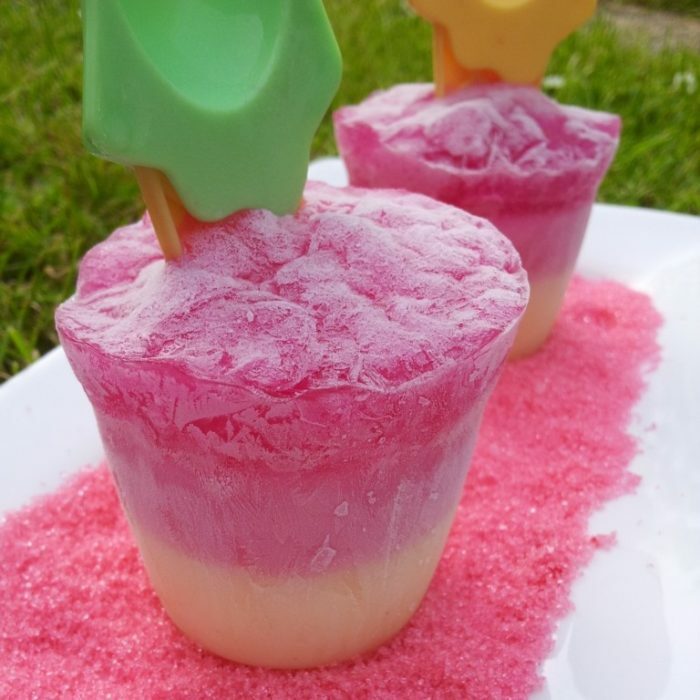 We started making these jelly and yoghurt ice lollies before the boys went for their nap, and by the time they woke up, the ice lollies were ready. That’s how quick they were! 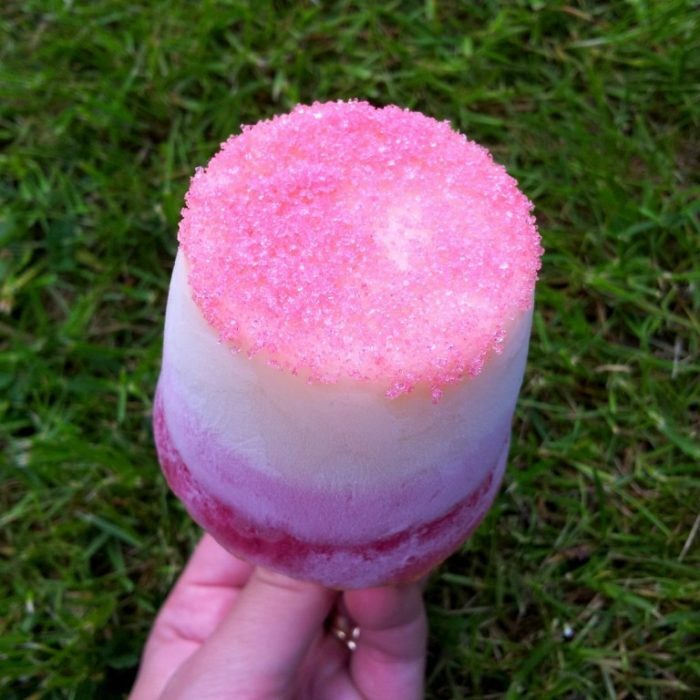 And depending on the yogurt you use, these ice lollies can be both creamy and moreish. 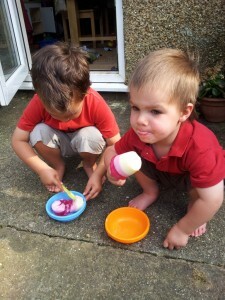 But don’t expect Cornish ice-cream smoothness. You will have the odd icicle and quite a bit of crunch. 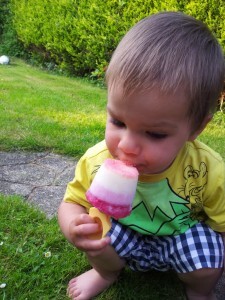 They are, none the less, a perfect treat for a hot summers day. 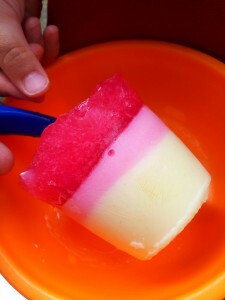 Mix half the yogurt with 1/3 of the jelly and set aside. 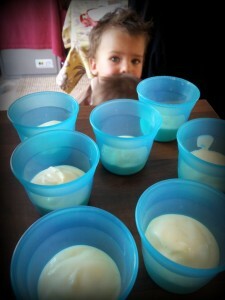 Scrape the other half of the yogurt into your containers and place in the freezer for half an hour. 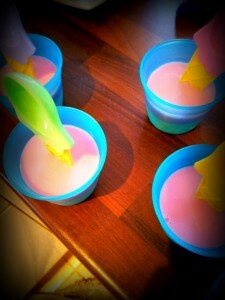 After half an hour, remove the moulds from the freezer and stick a spoon or an ice cream stick into the frozen yogurt. 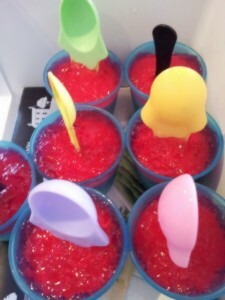 Divide the yogurt and jelly mix into the containers and place into the freezer for another half an hour. Remove and add the jelly. 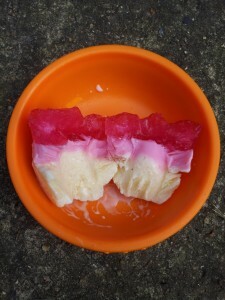 (You can place the jelly in the fridge for 15 minutes before adding it if you wish. This will just make it a bit lumpy like mine was . I like the way it looks like little jewels. I was looking for something just like this! Very glad it was a UK site and not a US jelly recipe ;-) Thank you. 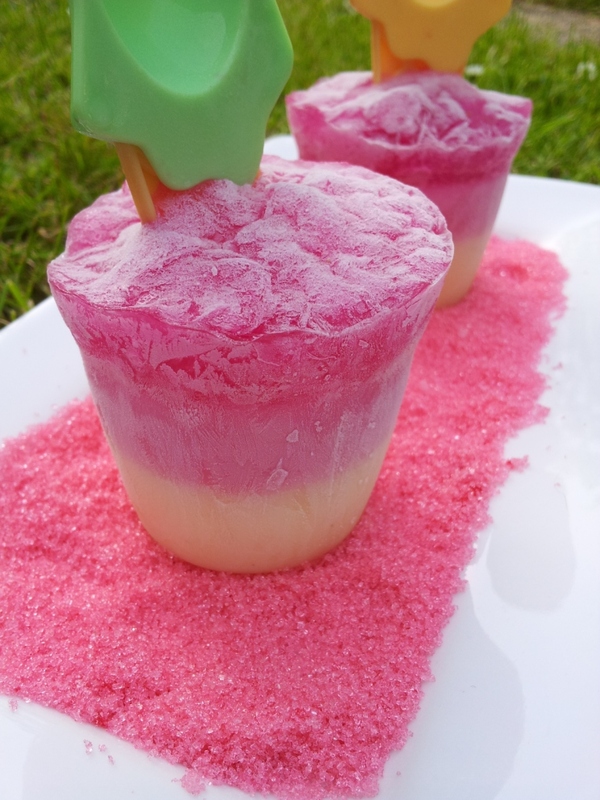 Where did you get your ice-cream holders and sticks/ spoons from? 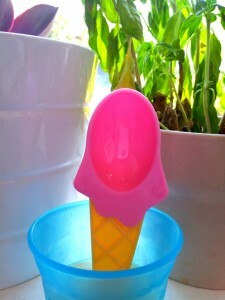 The blue cups I used for the molds are actually tommee tippee feeding pots. I have about 20 of them and they have proven invaluable.